Until recently, drones priced within the reach of non-professional adventure photographers have had three major downsides. They were too unwieldy to pack for adventure. The still images they snapped were unsharable at bigger than phone-screen resolution. And their lenses couldn’t zoom or tilt skyward. 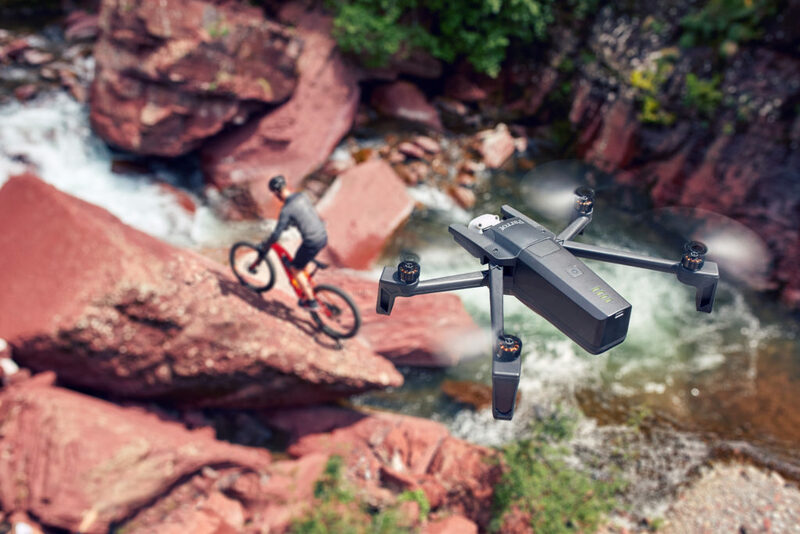 French drone-maker Parrot now says it’s solved the bulk of these issues with the debut of its Anafi folding drone, with a 21 megapixel (MP) sensor and tilting camera gimbal that can swivel 180 degrees, from directly down to directly up. To understand why this might be a breakthrough, it’s important to get that Parrot is no, ahem, fly-by-night entry in the drone/tech space. Even if you’re less familiar with Parrot than China’s DJI, Parrot has been in drones since 2010 and they have deep pockets—they’re one of the pioneers of voice-over Bluetooth and of voice recognition. They know tech. As for the Anafi’s specs, let’s first take the case of size—smaller is better when it comes to carting a drone into the wilds.